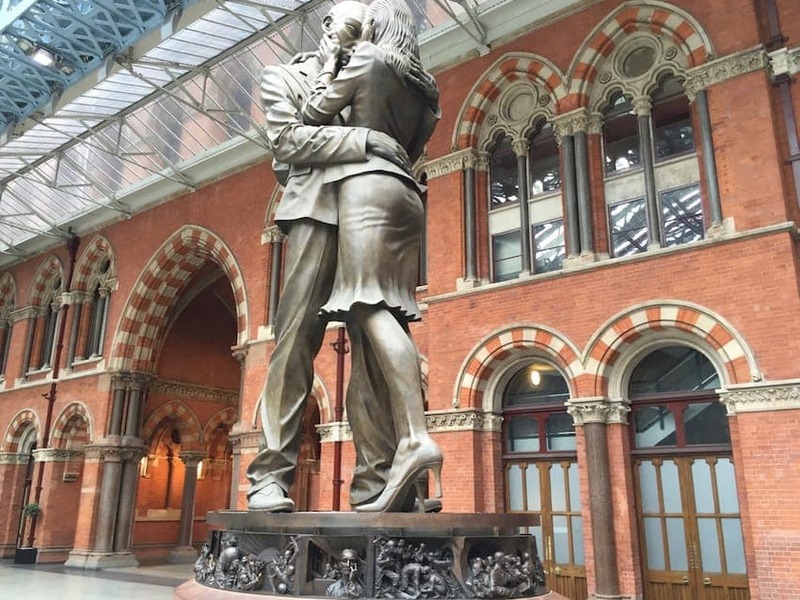 Paul Day's 'The Meeting Place' is a 30 ft (9 m) tall bronze statue in St Pancras railway station in London, surrounded by a frieze featuring images from the history of the Tube and train. Day studied at art schools in the UK and now lives in France with his French wife. Their Anglo-French relationship provided the reference for the sculpture which is modelled on an embrace between them, set at the terminus of the rail link between England and France. Controversially, contemporary sculptor Antony Gormley has negatively singled out The Meeting Place statue for criticism.